Most water-damage incidents happen when least expected, but with help from our IICRC certified technicians, it is possible to reverse or forestall their effects. SERVPRO of New Hanover relies on advanced moisture detection equipment, the team's combined work experience of over 75 years and a touch of Southern Hospitality to help homeowners in distress. ASD, Applied Structural Drying certification means our customers benefit from industry-leading techniques resulting in a successful conclusion to their water loss. 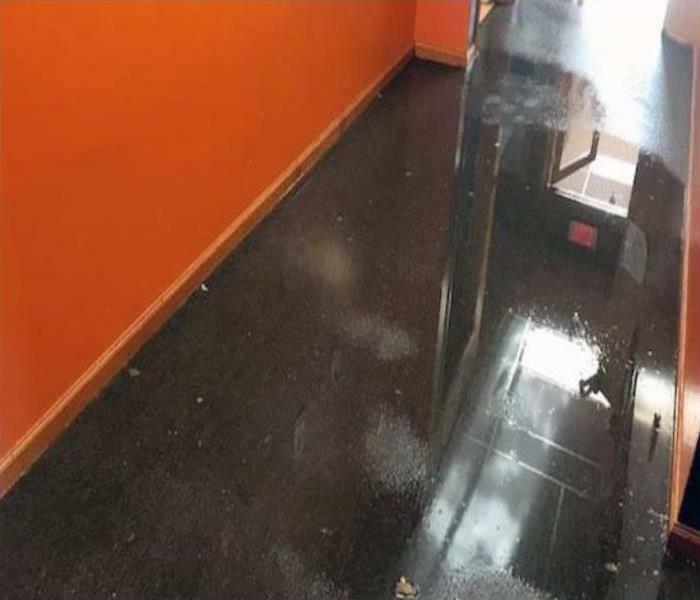 Every water damage case is unique, so assessment before restoration is part of our effort to ensure every customer is satisfied with our action plan. Other aspects of the services we offer like moisture control, microbial growth prevention, and deodorization are also standard in all incidents. Our teams come to the loss site equipped to extract water and dry the structure as soon as possible, minimizing secondary damage. We understand how disruptive water loss incidents can be since some of us have suffered property loss too. Being part of the community helps us to create unique solutions to help you deal with the financial and emotional challenges of water-damaging events. We live and work in this community too; we might even be neighbors. As a locally owned and operated business, SERVPRO of New Hanover is close by and ready to respond to your flood or water damage emergency. We are proud to be an active member of the Wilmington community and want to do our part to make our community the best it can be.